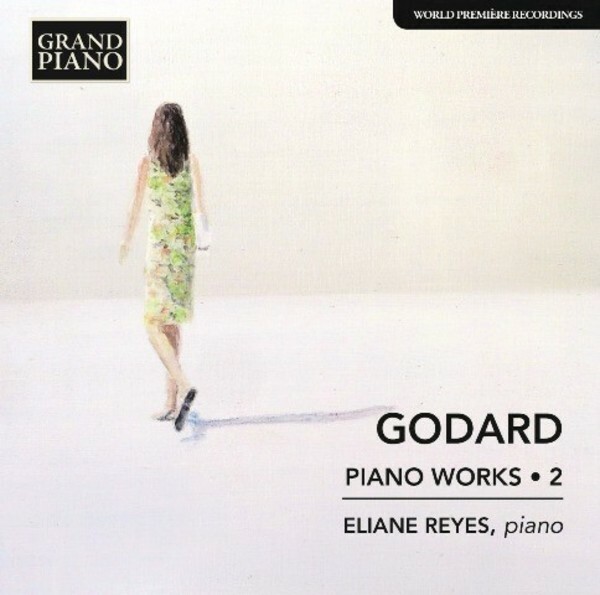 Spanning the breadth of Benjamin Godard’s compositional life, this selection of piano music includes the gracious and warm Nocturnes, which show some Chopin influence, and the Trois Fragments Poétiques, Op.13 with their long-spun lyrical melodies. His sparkling vivacity and more virtuosic side can be savoured in the late Fantaisie en trois parties, Op.143. Belgian pianist Eliane Reyes is a laureate of the Cziffra Competition at Senlis and has studied at the Brussels Conservatoire Royal, Berlin Hochschule des Künste, Salzburg Mozarteum and the Paris Conservatoire National Supérieur. She has an active international concert career. Her recordings have been previously nominated for the International Classical Music Awards, including her recording of piano works by Nicolas Bacri [Naxos 8572530]. She is professor of piano at the Brussels Conservatoire Royal de Musique.